for enhancing academic cooperation and exchanges of students and academics, contributing towards the socio-economic development of non-EU countries targeted by EU external cooperation policy. INSPIRE is a new Programme which was introduced only in 2014 and this is the first call for applications. Until 2014, the scholarships were only granted to South Africans going to Europe. From 2014 European students and staff are also eligible to apply for scholarships to come to South African Universities to study or conduct research. Uppsala University in Sweden is the European co-coordinating partner of INSPIRE with the University of the Western Cape (UWC) in Cape Town, the South African coordinating partner. 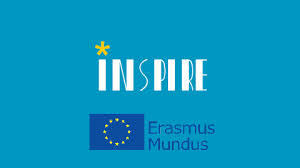 INSPIRE is a mobility programme offering study, training,exchange and research periods at INSPIRE Consortium universities in Europe for South African master's, doctoral candidates as well as post-doctoral fellows and staff members (both academic and non-academic) and also provides the same opportunities to Europeans wanting to come to South African Consortium partners for the same purpose. soon as July 2015 (doctoral, post-doctoral and staff) and September 2015 (master's). European scholarship holders can start by early July 2015. All mobilities (except staff members) will have to start before 31 December 2015. The INSPIRE Programme will be curtailed on 14 July 2018 at which time ALL mobilities will end. INternational Science Promoting Innovation and entREpreneurship is an Erasmus Mundus Action 2 project that has identified a very concrete and structurally important node for development of the South African knowledge triangle. In the intricate system of interaction between research, education and innovation INSPIRE will focus on the creation of and development of support structures that can transfer results from research into the private sector for refinement before product development to be used in industry. The process of transferring science to be explored and commercialized is still underdeveloped and there is a need to develop good governance at universities in order to initiate and uphold partnerships between the public and private sectors. The INSPIRE-project will tackle this issue by training South African students and staff within the EU-universities’ innovation/ entrepreneur centres. INSPIRE will also, thanks to participating associate organizations, build a network for INSPIRE-alumni in which they can continue to grow personally and professionally. The theme of INSPIRE is selected in order to promote Innovation and Entrepreneurship. In doing so INSPIRE has chosen to give priority to a number of academic themes that align themselves with the priorities set for innovation in thedevelopment strategy of the South African Department of Science and Technology for the period 2011-2016. The partnership is coordinated by Uppsala University in Sweden, whereas the University of Western Cape (UWC) in Cape Town (South Africa) acts as joint coordinator. university and for South African mobility to a EU university. degree seeking Master's students and for Doctoral candidates depending on the duration of the mobility (longer than 10 months) . Tuition fees will be paid directly to the European host university. 22 scholarships of one or two semesters for exchange studies at Master's level. 12 scholarships of six or ten months for exchanges at Doctoral level. 10 scholarships of six or ten months for research at Postdoctoral level. 10 scholarships of one month for Academic/Administrative Staff. 8 scholarships of two semesters for exchange studies at Master's level. 16 scholarships of ten months for exchanges at Doctoral level. 8 scholarships of six or ten months research at Postdoctoral level. 20 scholarships of one month for Academic/Administrative Staff. The new Call for applications for South African Staff and students, will be opened on 20 November 2014 and will close on 15 March 2015.